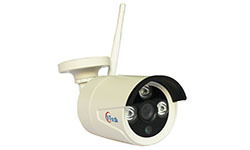 2pcs IR-III ultra -bright Array LED,with night vision of 30-40m;Built-in Audio Function,Mechanical IR-Cut,H.264 compression,dual bit streams, Support local recording and JPEG snapshot(need TF Card); Motion detection/ e-mail notify/ transmit images to FTP;Cloud monitoring,NAT,One-step to the Internet,Support client/IE/mobile phone remote view,control,setup; Built-in TF card Slort (Support 16/ 32/ 64/ 128G); WIFI and WIFI AP(provide Hot Spot,can connect to Mobile even without WLAN);Support Onvif standard,work with Dahua&hikvision. 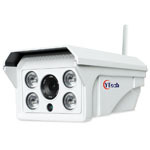 Adopting 3.6mm lens(Default),3pcs IR-III ultra -bright Array LED,with night vision of 30-40m;Built-in Audio Function,Mechanical IR-Cut,H.264 compression,dual bit streams,Support local recording and JPEG snapshot(need TF Card); Motion detection/ e-mail notify/ transmit images to FTP;Cloud monitoring,NAT,One-step to the Internet,Support client/IE/mobile phone remote view,control,setup; Built-in TF card Slort(Support 16/32/64/128G);WIFI and WIFI AP(provide Hot Spot,can connect to Mobile even without WLAN);Support Onvif standard,work with Dahua&hikvision. 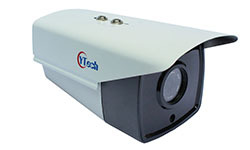 4pcs IR-III ultra -bright Array LED,with night vision of 60-80m;Built-in Audio Function,Mechanical IR-Cut,H.264 compression,dual bit streams,Support local recording and JPEG snapshot(need TF Card); Motion detection/ e-mail notify/ transmit images to FTP;Cloud monitoring,NAT,One-step to the Internet,Support client/IE/mobile phone remote view,control,setup; Built-in TF card Slort(Support 16/32/64/128G);WIFI and WIFI AP(provide Hot Spot,can connect to Mobile even without WLAN);Support Onvif standard,work with Dahua&hikvision. 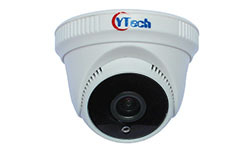 Adopting 2.8-12mm Varifocal lens,4X optical Zoom;Pan:355°,Tilt:90°;6pcs IR-III ultra -bright Array LED,with night vision of 80-100m; Built-in Audio Function, Mechanical IR-Cut,H.264 compression,dual bit streams,Support local recording and JPEG snapshot(need TF Card); Motion detection/ e-mail notify/ transmit images to FTP;Cloud monitoring, NAT,One-step to the Internet,Support client/IE/mobile phone remote view,control,setup; 4G function is opetional,Built-in TF card Slort(Support 16/32/64/128G);WIFI and WIFI AP(provide Hot Spot,can connect to Mobile even without WLAN);Support Onvif,work with Dahua&hikvision. 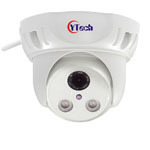 adopting 3.6mm lens(Default),11pcs 5# ultra -bright IR LED, with night vision of 10-15m; Pan: 270°, Tilt:90°,H.264 compression algorithm,dual bit streams,Support local recording and JPEG snapshot(need TF Card); Motion detection/ e-mail notify/ transmit images to FTP;Cloud monitoring,NAT,One-step to the Internet,Support client/IE/mobile phone remote view/ control/ setup; support built-in WIFI/TF card/POE;Support Onvif standard. 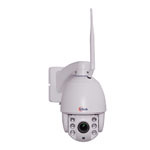 Adopting 3.6mm lens(Default),6pcs ultra-bright 3rd generation of array IR LED, with night vision of 30-40m;Build-in Audio capture function; Mechanical IR-Cut,dual bit streams; Motion detection/ e-mail notify/ transmit images to FTP;Cloud monitoring,NAT,One-step to the Internet, Support client/IE/mobile phone remote view/ control/ setup; Support built-in POE; Support Onvif standard. 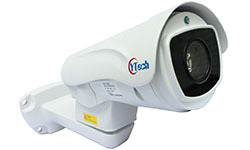 Adopting 3.6mm lens(Default),24pcs 5# ultra -bright IR LED, with night vision of 30-40m; Mechanical IR-Cut,dual bit streams; Motion detection/ e-mail notify/ transmit images to FTP;Cloud monitoring,NAT,One-step to the Internet, Support client/IE/mobile phone remote view/control/setup;Support built-in POE;Support Onvif standard. 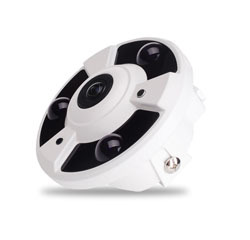 Adopting 1.7mm fishEye lens(Default),360 deg visual angle,6pcs ultra-bright 3rd generation of array IR LED, with night vision of 40-60m; Mechanical IR-Cut,dual bit streams; Motion detection/ e-mail notify/ transmit images to FTP;Cloud monitoring,NAT,One-step to the Internet, Support client/IE/mobile phone remote view/control/setup; Support built-in POE;Support Onvif standard. adopting 2.8-12mm Electric zoom lens,4X Optical Zoom,4pcs ultra-bright 3rd generation of array IR LED, with night vision of 50-60m; Pan:0-220°,0-30°/s;Tilt:-45 - +25°,0-30°/s;220 Preset positions,3 groups cruising scan;Support AB Scan(0-355 degree,1-9 grade selectable);Mechanical IR-Cut,H.264 compression algorithm,dual bit streams,Support local recording and JPEG snapshot(need TF Card); Motion detection/ e-mail notify/ transmit images to FTP;Cloud monitoring,NAT,One-step to the Internet,Support client/IE/mobile phone remote view/ control/ setup; support USB exstension 3G function; Support built-in WIFI,TF card and POE;Support Onvif standard. 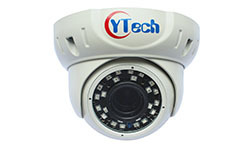 adopting 8mm lens(Default),4pc ultra-bright 3rd generation of array IR LED, with night vision of 40-60m; Mechanical IR-Cut,dual bit streams; Motion detection/ e-mail notify/ transmit images to FTP;Cloud monitoring,NAT,One-step to the Internet,Support client/IE/mobile phone remote view/control/setup;Support built-in POE;Support Onvif standard.